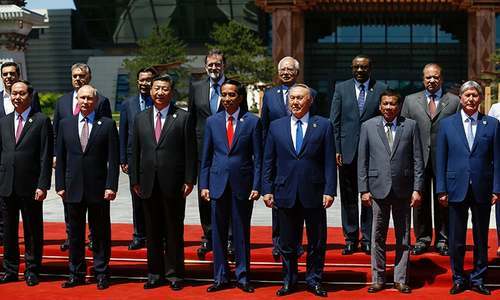 BEIJING: India didn’t show up. North Korea did, to the annoyance of the United States. And Pyongyang threatened to steal the show by firing a ballistic missile that landed less than 100 kilometres from Russia. Despite the distractions, China stuck to the script at the first major summit dedicated to its new “Silk Road” initiative to open land and sea corridors across Asia and beyond, pushing President Xi Jinping’s free trade message hard. The huge “One Belt One Road” (OBOR) project, unveiled in 2013 and championed by Xi, is as amorphous as it is ambitious, and the May 14-15 forum was designed to overcome the doubters. It succeeded partially, but Xi’s prominence at the Beijing meeting, and state media’s ringing endorsement of a concept that jars strikingly with US President Donald Trump’s “America First” policy, pointed to how seriously China took it. In closing remarks, made before journalists who were not permitted to ask questions, Xi vowed to host another Belt and Road forum in 2019. In the buildup to the country’s biggest diplomatic event of the year, authorities were sensitive to criticism that the Silk Road mostly benefited Chinese companies and risked creating unmanageable levels of debt in host countries. Official media featured smiling foreigners saying how much Belt and Road had changed their lives, and addressed the reservations of some Western nations head-on. On the night before the summit opened, the official Xinhua news agency, in an English language commentary, denounced the “naysayers (who) circle like buzzards”. “Pessimism sells more newspapers and draws more clicks than stories of success,” it said. The host nation pulled out the stops to ensure the summit went smoothly. It closed some bars and restaurants in central Beijing on the pretext of ensuring security, and unblocked foreign websites like Google at meeting venues, inaccessible to ordinary Chinese. When male reporters turned up to the summit on Sunday, those not wearing a suit were asked to form a separate line before being handed second-hand jackets to make them more presentable. At the gathering, China pledged $124 billion in funding for the Belt and Road. In the closing communique, it also hinted at its ambition to take on a global leadership role at a time when protectionist forces were gathering steam in other regions. 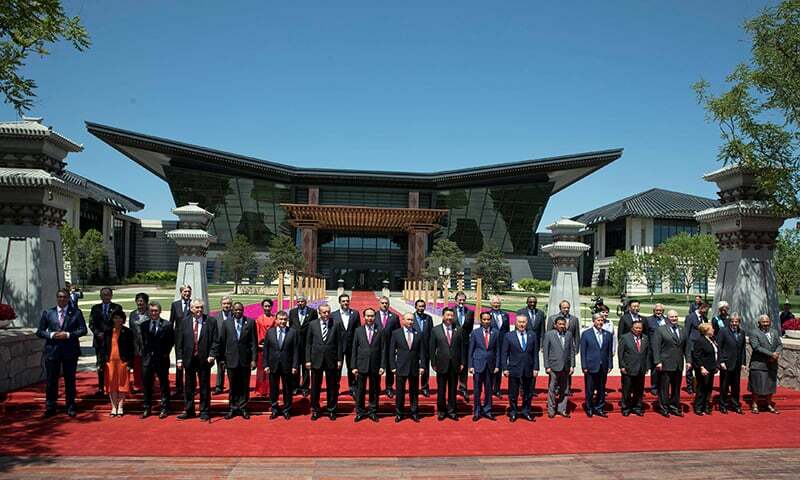 “It is our hope through the Belt and Road development, we will unleash new economic forces for global growth, build new platforms for global development, and rebalance economic globalisation so mankind will move closer to a community of common destiny,” Xi said at the close of the event. Long-running diplomatic disputes did manage to muscle in on the narrative of inclusion for all, however. India, whose population is expected to surpass that of China in the coming years, pointedly avoided the summit, complaining that a Silk Road project that crosses Pakistan impinges on its sovereignty by passing through Kashmir. And when China confirmed North Korea was attending, the US embassy in Beijing submitted a complaint to China’s foreign ministry saying its presence sent the wrong message as the world tried to pressure Pyongyang over its weapons programme. North Korea’s response may have irked its hosts, however. On Sunday it fired a ballistic missile in defiance of international calls to curb its weapons programme.